Make Some Noise! 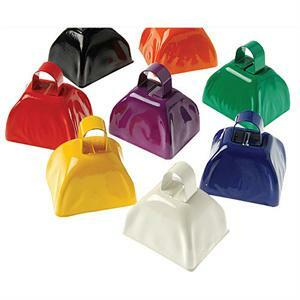 Show your spirit at the game with these inexpensive 3 inch colored metal cowbells. Makes a great fund raiser. Comes in all team colors.